30A Realty was founded in June of 1995. As the original 30A real estate company, the first office was established in Seagrove at 3547 East County Highway 30A. Mickey Whitaker and Alice Forrester, with years of experience, teamed up to form the 30A Realty marque. At the time there were only a small handful of brokers in the area. Mickey and Alice realized the need for a new level of service in the real estate market on 30A. The original brand was established using the original 30A highway road sign. While the road sign has evolved, many still remember the image of the road sign as the 30A they know. In 1997 the headquarters was moved to the long standing 30A Realty office in Seagrove behind Angelina’s Pizzeria. Additional offices were established shortly after in Blue Mountain Beach, Seacrest Beach, Freeport and Defuniak Springs. During the early 2000s, the 30A Realty team exceeded 60 agents. Throughout the growth, 30A Realty has continued to provide the market expertise required to provide our clients with the highest level of service. In 2018, Jacob Watkins joined the leadership team as the managing partner at 30A Realty. 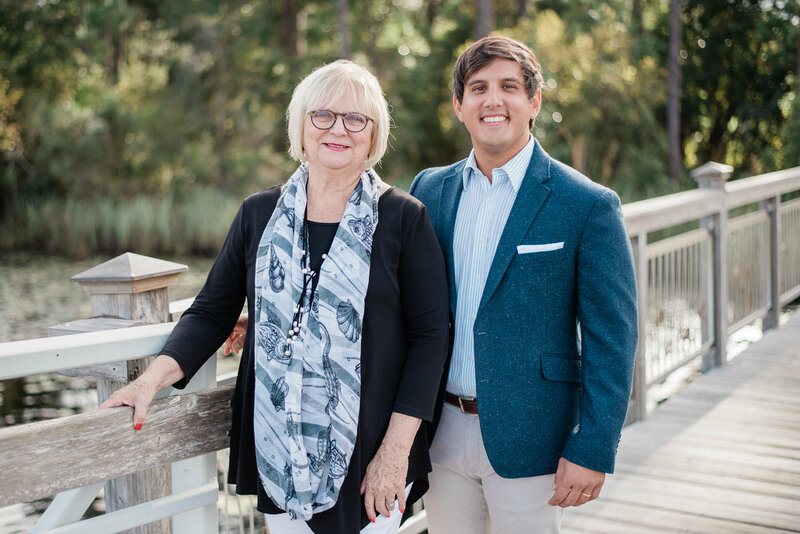 Mickey and Alice, with over 78 years’ experience combined, continue to provide their market expertise, relationships and service to the 30A Realty clients. The experience Mickey and Alice provide along with the marketing strategy Jacob brings has created the most competitive real estate team in the market. The 30A Realty headquarters has moved to the current office at 4042 East County Highway 30A in Seagrove Beach. The company is continuing to grow and innovate with the market. We understand the changing needs of our customers and the requirements to continue investing in the marketing strategies needed. With over 28 years in business, 30A Realty is one of the longest standing real estate brands in the area. The team is made up of natives and longtime residence of Walton County. 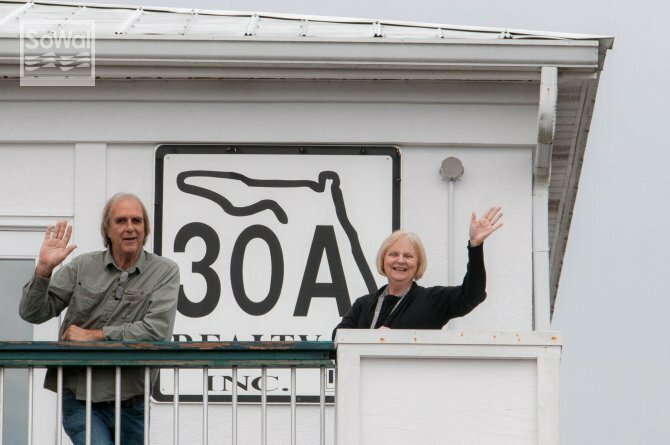 Given the team’s experience, the 30A Realty team understands the history and nuances of the 30A market. Since 1995, 30A Realty has been annually one of the top producing brokerages in the market. 30A Realty produced nearly $100M in sales in 2017. The company has continued to provide our clients with the market knowledge and customer service expected to meet their real estate needs. 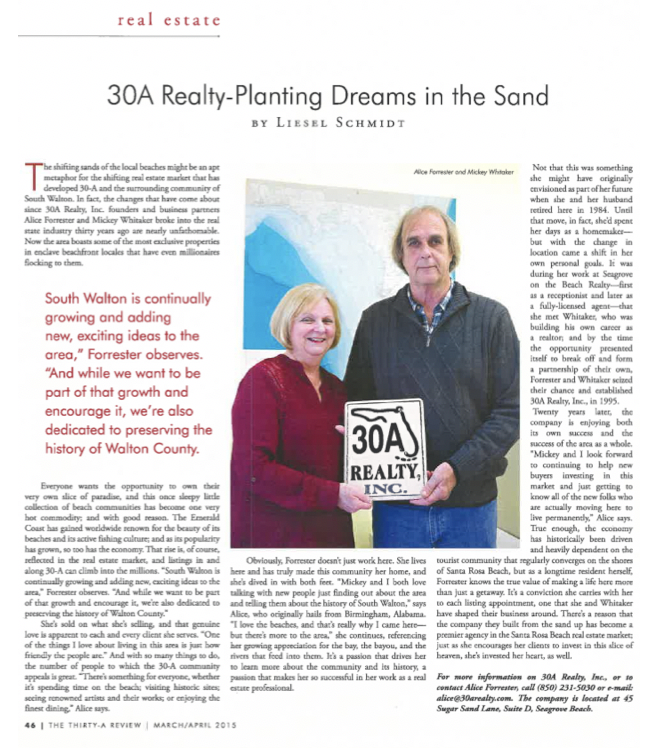 The team at 30A Realty are the true market experts when it comes to local real estate sales on 30A.